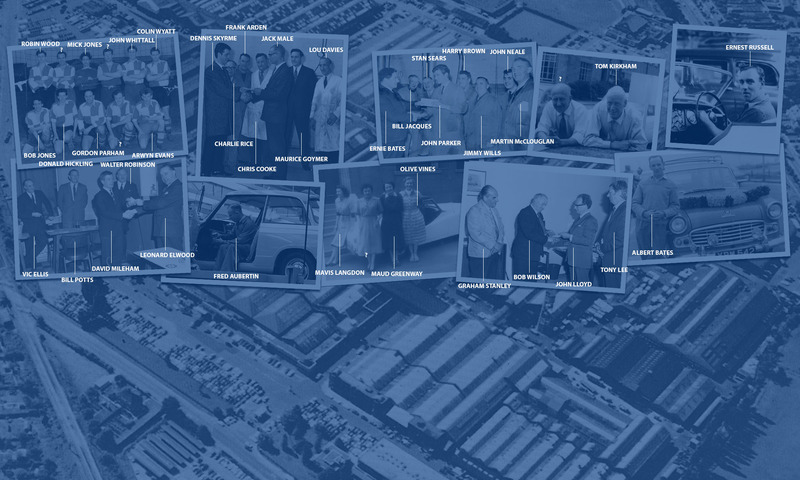 A fantastic photo show a team of ladies that were tasked to deliver cars, in the most cases, to the ports for export. 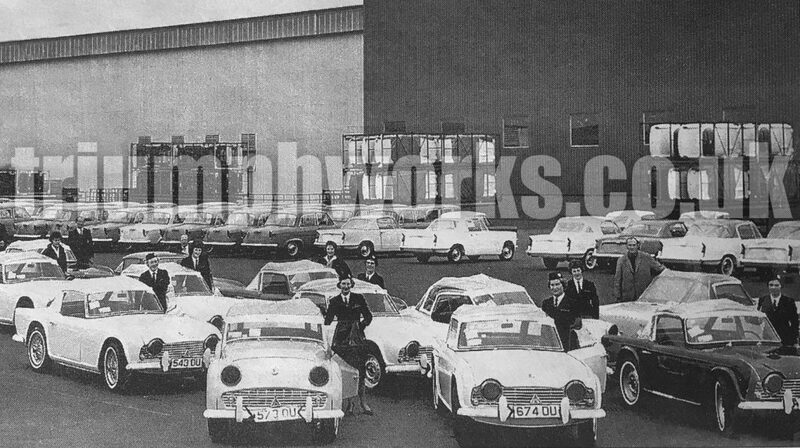 The array of cars here is really good TR3, TR4, in the background we can see rows of Triumph Heralds – coupes and convertibles and on the left Standard Vanguard Vignale’s . The large building behind the scene is the new Assembly Hall – the Rocket Range which started outputting cars in 1961. New TR4 bodies can be seen against the Rocket Range wall. The cars, in the foreground, are wearing trade plates and are all left hand drive cars. We have no accurate date, as yet, but it has to be 1961 with the Vignale and Triumph Herald Coupe’s.